The artistic and popular resurgence enjoyed by Johnny Cash at the end of his life is a rare music industry feel-good story. Meanwhile, Willie Nelson, 73, is still recording and touring with a vengeance. More than ever, he seems to be doing whatever he damn well feels like. You Don't Know Me: The Songs of Cindy Walker is one of the best releases of 2006. There's also a new essential reissue of his most celebrated music. 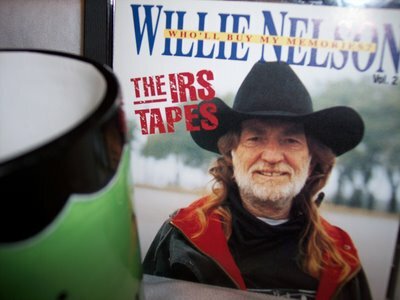 The infamous IRS Tapes are long out-of-print. "Opportunity To Cry" packs pathos, hilarity, a rude inference and disturbing psychosis into two-and-a-half minutes. Here's to your health, Willie. It’s the most ingenious marketing plan of 2006. While attempting to locate an elusive Tim Buckley and Judy Collins duet among dusty Elektra label master tapes, an archivist uncovered a staggeringly brilliant unreleased recording. After a chemically-inspired jolt of inspiration during Phil Lesh's set at Bonnaroo, the label's marketing deparment decided to release the 35-year-old album as a new independent effort by a fictional act out of Vermont named Grace Potter and the Nocturnals. Even with the obviously fake name- I would have gone with “Hermione Hogsmeade and the Hippogriffs”- people actually believe the ruse. 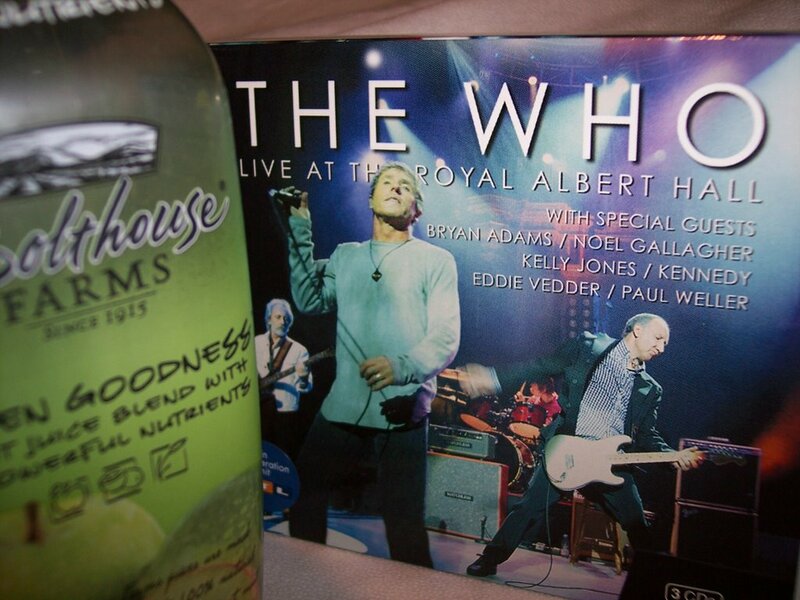 To further convince skeptics, the label even produced images of the “band"'s live performances. 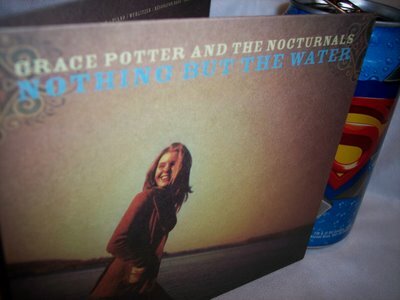 Anyone who listens to Nothing But the Water will recognize that not a note on it could have been recorded any later than 1976. Surely it’s an old Rory Block or Bonnie Bramlett session. It’s no secret that authentic folk-blues records with memorable songs like this just aren’t made any more. This so-called “Grace Potter”even name-checks J.J. Cale in the first song. C’mon! The album bears no resemblance to tedious contemporary “blooze,” nor does it have anything in common with the safe sounds of Norah Jones’ hits. The rest of the world may be fooled, but not me. 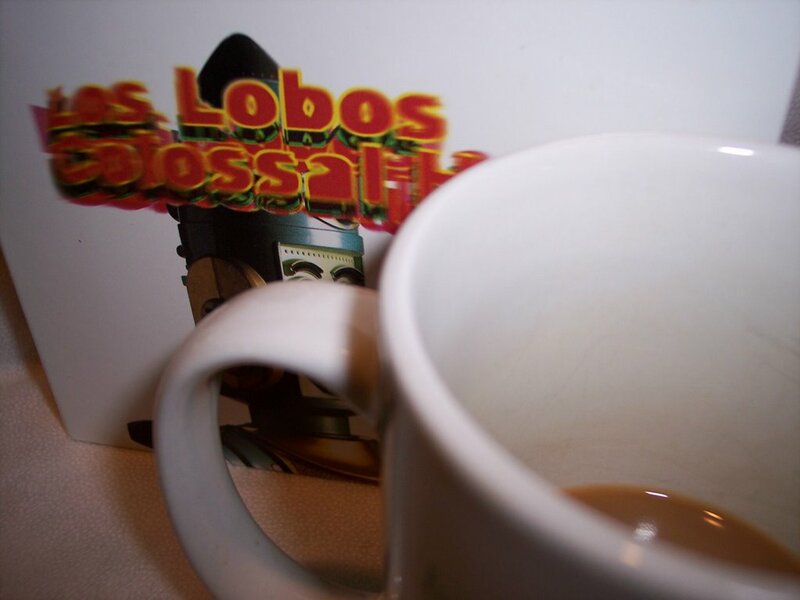 You’ll find Nothing But the Water on my year-end top ten list- that'd be my top ten reissue and archival recording list, of course. Midnight has come and gone for Malachi Thompson. 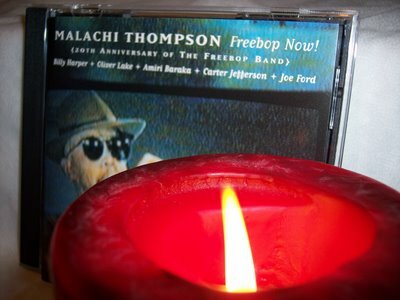 It's not fair, but I always perceived Malachi Thompson as standing in Lester Bowie's shadow. Both men were experimental jazz trumpeters based in Chicago. Bowie wore a white lab coat, had flashy hair and an effective publicity machine. Thompson was no less creative but he never enjoyed widespread acclaim. This relatively straight reading of "'Round Midnight" is somewhat atypical. The same 1998 release, for instance, contains a "science fiction short story" titled Worm Hole. Even so, Thompson can't restrain himself on the plaintive ballad- don't miss the wacky quote at the 3:10 mark. Thompson died on July 16 after a prolonged struggle with cancer. Lil' Ed and his boogie machine have moved on. You know that tiresome guy at the guitar shop who demonstrates that he knows every classic rock riff? It turns out that his name is Joe Bonamassa. He headlined at the Kansas City Blues Society’s free concert series last Sunday. Bonamassa does more than just quote "Smoke On the Water," "Layla,"and "Stairway To Heaven"- he makes sure you know how fast he can play them. Fortunately, the Blues Society has a perfect remedy for Bonamassa's excess. 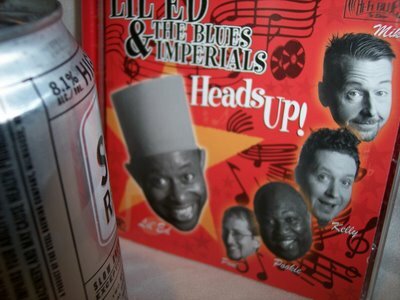 Lil’ Ed & the Blues Imperials are playing the series this Sunday. Sloppy and fun, the roadhouse band is the anti-Bonamassa. They’re essentially a Hound Dog Taylor tribute band, and that’s intended as high praise. Can someone give me a ride home? Do you still get calls like this? It's pathetic, but I still make similar calls once every blue moon. Contrasting Hugh's invitation to "get really drunk and high" with a mournful dirge is a stroke of genius typical of Thinking Fellers Union Local 282, a California-based experimental band. 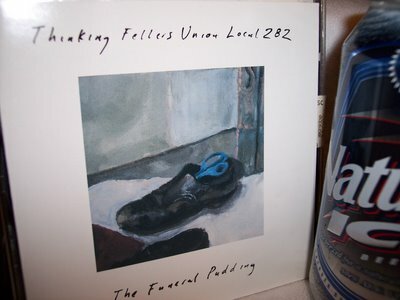 They were sort of a crankier Camper Van Beethoven. "The Invitation," from 1994, is the perfect introduction or conclusion to a savage mix CD. Sam Meyers will be missed. 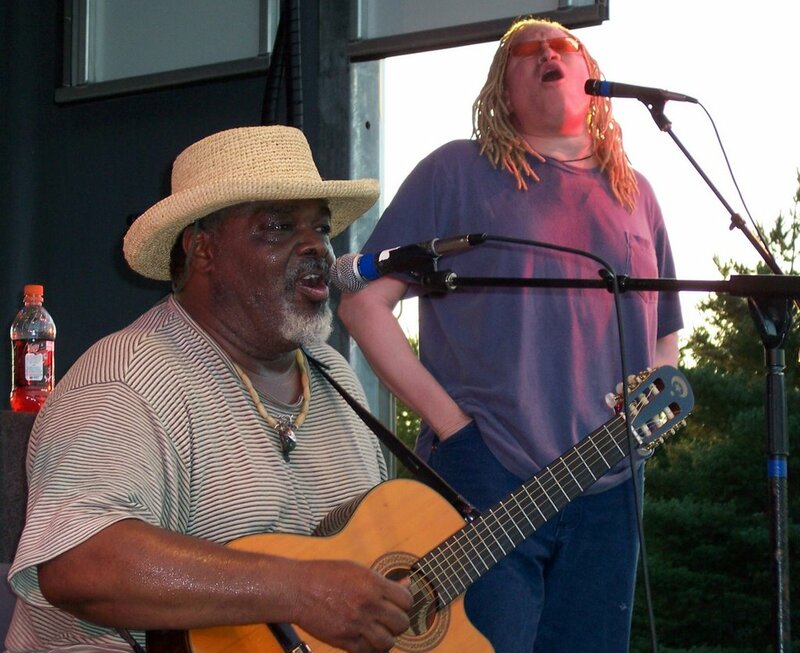 Blues musician Sam Myers died yesterday in Dallas. He was 70. Myers had been diagnosed with cancer in February 2005. After working as Elmore James' drummer for over a decade, he became a fixture on the chitlin circuit. 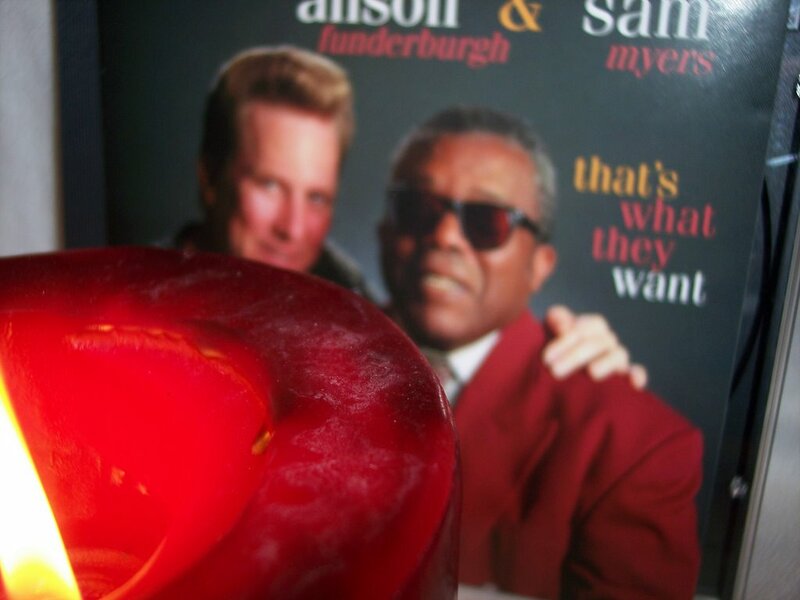 For the last twenty years, Myers had been vocalist and harmonica player for Anson Funderburgh & the Rockets. This 1997 recording showcases Myers' rich, playful voice. The MP3 is gone, but Danny sings on. I’m straying from the regular format of There Stands the Glass today to tell you about a brave thing Danny Cox did Friday night. Cox delivered a strident anti-war protest song to an unsuspecting audience in Olathe, Kansas, the most politically conservative corner of the Kansas City metropolis. As a renowned folk singer who enjoyed national acclaim in the late ‘60s and early ‘70s, Cox is no stranger to topical material. Even so, he has probably rarely performed before a less receptive group of people. "Bring Our Loved Ones Back," with lines like "We’re killing citizens all over the world" and "Thank God for the internet," isn’t going to make anyone forget "We Shall Overcome." Still, its sincerity and earnestness are quite compelling. This is a recording of Cox’s song from a performance earlier this year at All Soul’s Unitarian Church. Remarkably, no one in Olathe booed or left in protest when the song concluded. Two dozen people even stood and applauded. Cox was in Olathe as the unannounced opening act for Malford Milligan. The concert was part of the city’s free Friday night concert series. Many of the approximately 400 people in attendance walked to the event from their nearby homes. Cox had been charming the audience with polite folk standards and ditties about the challenges of raising children. Then he was joined by Malford Milligan for a couple songs. The extraordinary voice of Milligan, an Austin-based blues and rock musician, seemed to invigorate Cox. "It’s so great to sing with someone you never sang with," Cox exclaimed as Milligan left the stage. "All we have is a few chords and passion. I can say we felt the passion." It was then that Cox sang "Bring Our Loved Ones Back." While Milligan and his backing trio later ran through a solid set that showcased Milligan’s marvelous voice, Cox’s courage remained the highlight of the evening. Milligan is incredibly photogenic, as you can see in the additional photos of the concert I posted here. I saw the greatest rock band of the last thirty years last night. Sure, many albums are better than Kiko, Los Lobos' defining release, and on any given night there are a few dozen bands that might be more immediately relevant, but none have sustained the high quality over three decades like Los Lobos. Disagree? I suppose you could make a case for The Isley Brothers or The Red Hot Chili Peppers. But no other band- I'm not counting solo artists like Prince or Neil Young- have been consistently better. They were a little creaky at their casino gig last night, and only a few moments were trancendent. "Maricela" provided one of the spine-tinglers. It's from their reviled album Colossal Head. While not one song from Head made the cut for the band's new Rhino compilation, the 1996 release is filled with soulful brilliance. The clips took a walk. Here's a deal you can't refuse. 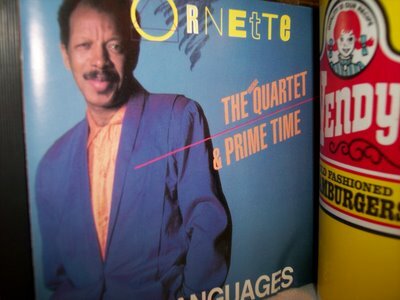 To receive a fundamental understanding of Ornette Coleman's theory of harmolodics you could study at the Berklee College of Music for a couple years. Or you could simply listen to these two MP3s. 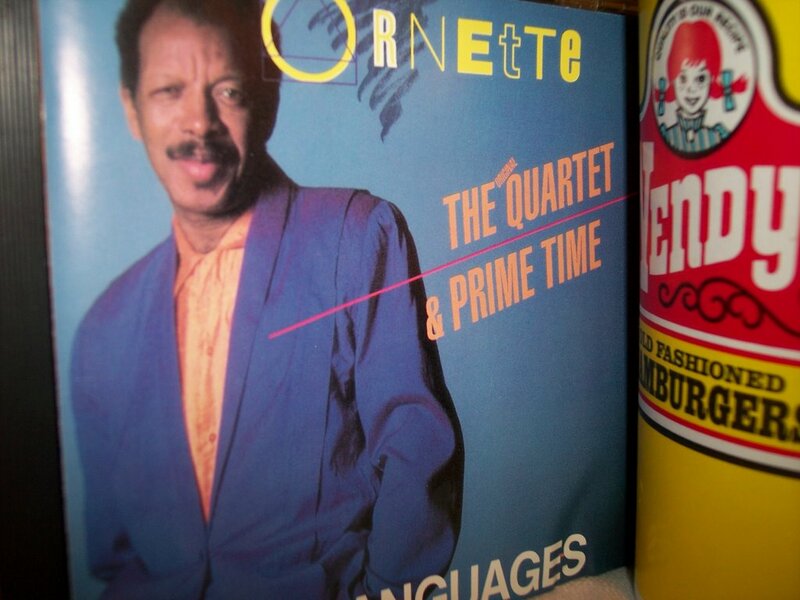 Their contents explain the music of Ornette Coleman as well as any book or lecture. In All Languages, Coleman's revolutionary, out-of-print release, contains both acoustic and electric versions of the same material. Are they radically different or essentially the same? "Yes," is Ornette's likely reply. Last night's All-Star Game was delayed after the fourth inning for a tribute to Pittsburgh Pirate legend Roberto Clemente. As a Chicago kid in 1972, my favorite players were Fergie Jenkins and Billy Williams. 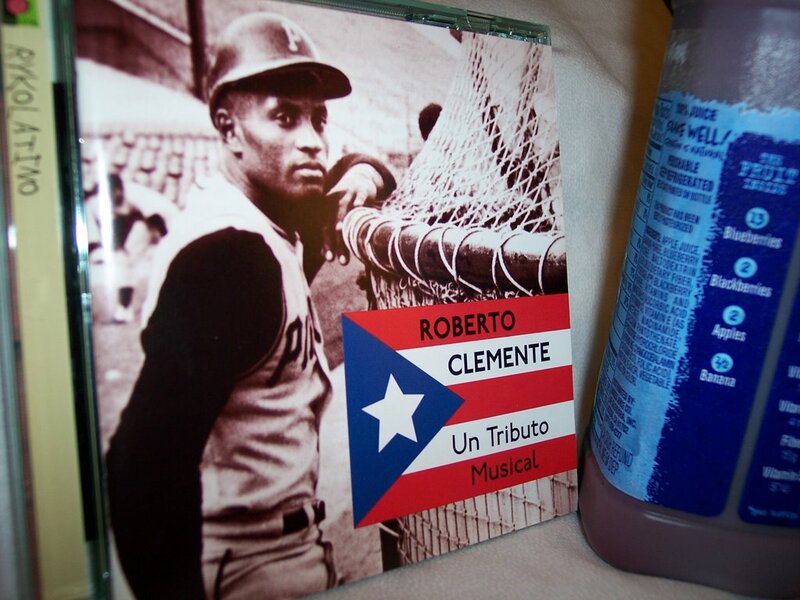 But Roberto Clemente was near the top of everyone's list. It was devastating news when he was killed while on a humanitarian mission that New Year's Eve. This 1998 tribute to Clemente features a few stars of salsa as well as the participation of his family. O' Domhnaill will be missed. "The death has taken place of Michael O' Domhnaill," this this RTE report begins (Real Audio link). 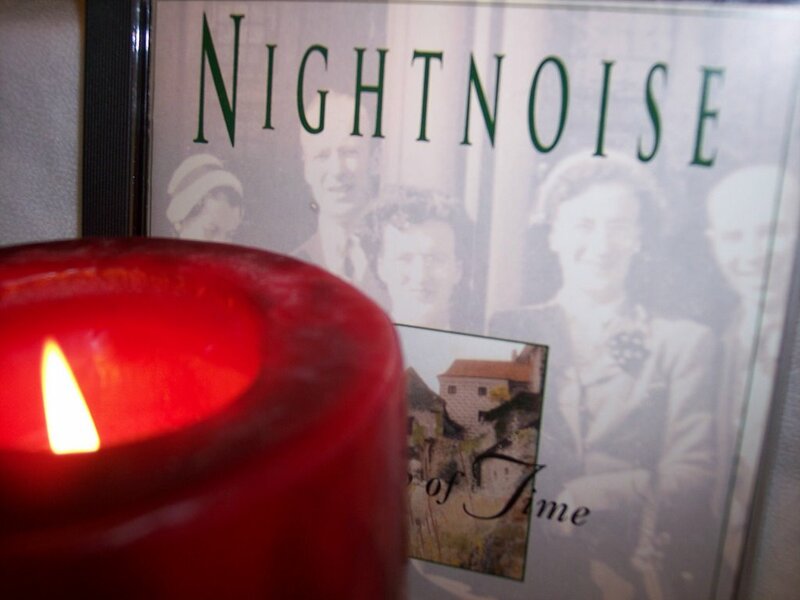 That distinct Irish phrasing was also the defining element of O' Domhnaill's work, even with the New Age-leaning Nightnoise, the Windham Hill group he co-founded. The multi-instrumentalist O' Domhnaill was also a former member of the Bothy Band. He was 54. The sad news of Syd Barrett's passing just reached me. Because I came of age in a time when Pink Floyd dominated rock radio, and every nuance of The Wall, Dark Side of the Moon and Wish You Were Here were permanently drilled into my being, I've deliberately avoided all things Floyd the past two decades. The only Barrett-era song that had that same omnipresent impact on me was "See Emily Play," a mix-tape staple in high school. "There is no other day," Syd. Farewell. I had to bring 'em in. As I toted an armful of discs to my car after a Warped Tour date a few weeks ago, I wonderered if labels practically give music away at this event because they realize that kids place more value on apparel than on music, or if labels in this genre simply "get it"? Either way, I'm glad to have this Ever We Fall remix on Hopelessly Devoted To You, Vol. 6, a $3.00, three-disc compilation showcasing the releases of the prominent label group. Stripped of guitars and with a shameless Postal Service-style production, the song is transformed into a haunting slice of pathos. The Portland-based Ever We Fall is one of the best AP magazine-style bands; hear what they usually sound like at their Pure Volume page. Babysitters in Kansas City cleaned up last night. John Hiatt was headlining at the VooDoo Lounge in Harrah’s Casino and it felt like half of suburbia was there to welcome him. The North Mississippi Allstars opened the show with a polite, technically-proficient but charisma-free set. Those same qualities made them a perfect backing band for Hiatt. My date adores Hiatt, and to be fair, he’s a great performer. 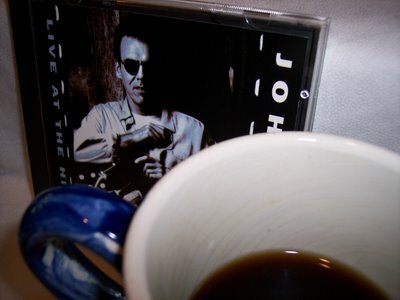 While I respect him, Hiatt's music ceased to speak directly to me after Stolen Moments. So here’s a wobbly Riding With the King song from a live promotional 1993 release. 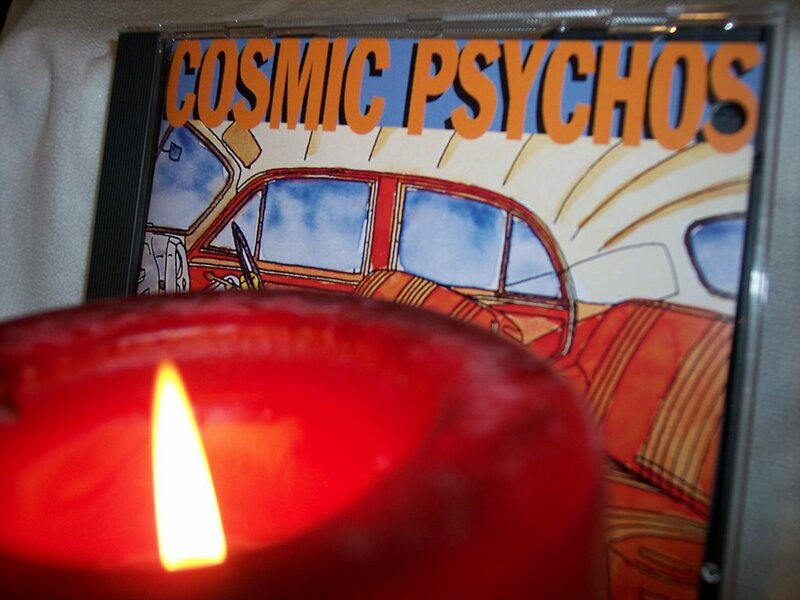 Robbie "Rocket" Watts, guitarist for the Cosmic Psychos, died July 1 at the age of 47. The Australian band had played a gig in support of their new release the previous night. This 1993 Amphetamine Reptile label release is a good example of the vital sludge Watts produced with the band.